Looking for ways to better promote your NAHB designation? Register for the upcoming webinar from NAHB Education, Branding Yourself and Your Business Using Your NAHB Designation. The webinar will take place Wednesday, Feb. 13, from 2-3 p.m. ET (1-2 p.m. Springfield, MO time). Experienced designees – including builders, remodelers and associates – will share innovative ideas on how they market and promote their designations. 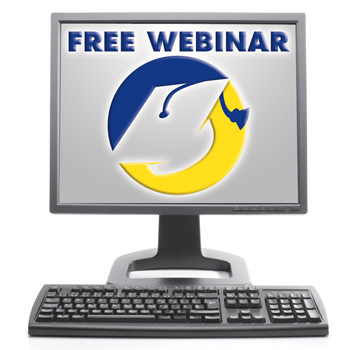 The webinar is open to anyone but FREE to all active designees. Email designations@nahb.org to receive the promo code to register for this webinar or contact the NAHB Professional Designation Help Line at 800-368-5242 x8154. In the webinar, "Branding Yourself and Your Business with Your Designation," NAHB will show you how to take advantage of affordable and easy-to-use tools and get noticed. You'll also hear directly from experienced industry pros who have built their personal brand through their NAHB designation and are using it to expand their business. Discover how to incorporate your NAHB designation into your company's marketing strategies, including social media, your website and other methods. Learn how to use NAHB resources to help you customize flyers, brochures, ads and other marketing collateral. Gain tips on how to develop relationships with local media and become a trusted resource. Simply click here for "Branding Yourself and Your Business with Your Designation"